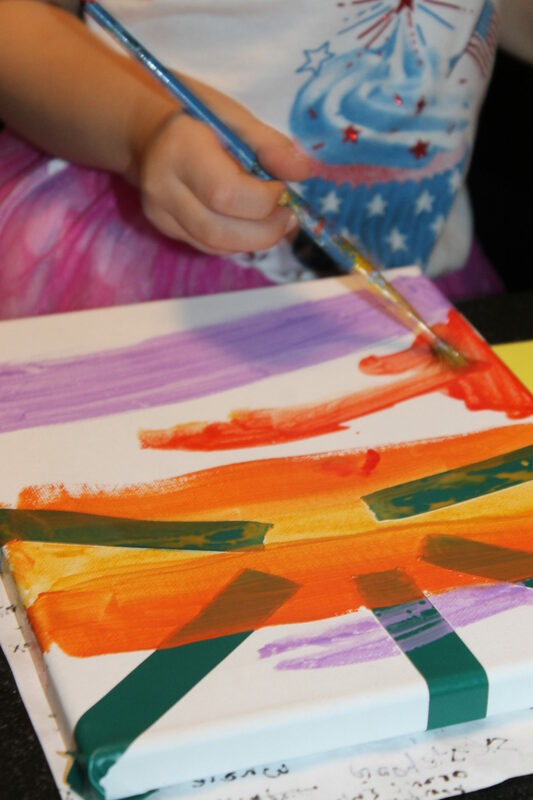 We love canvas art projects in our house. We have so many canvas paintings that I could probably cover every inch of our home with them. There are some that we love and display and some are just for fun. 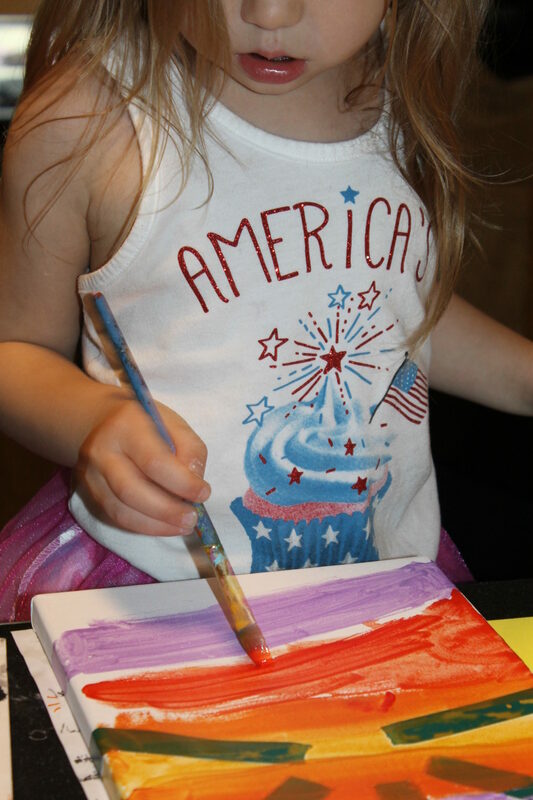 The great thing about canvas art is that you can always reuse the canvas if you want to and we do. 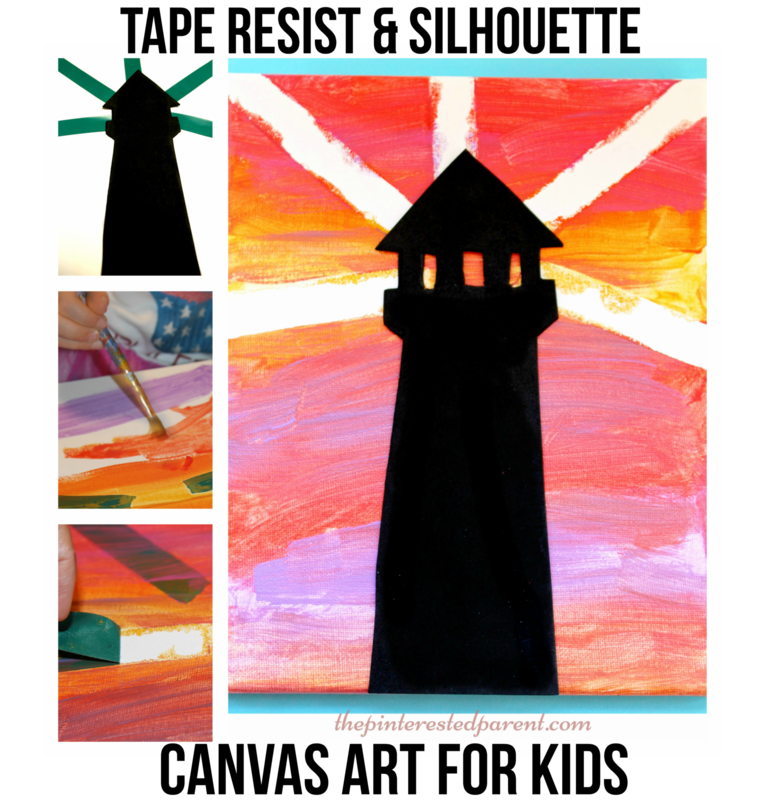 We love tape resist projects as well and we especially love working with silhouettes. 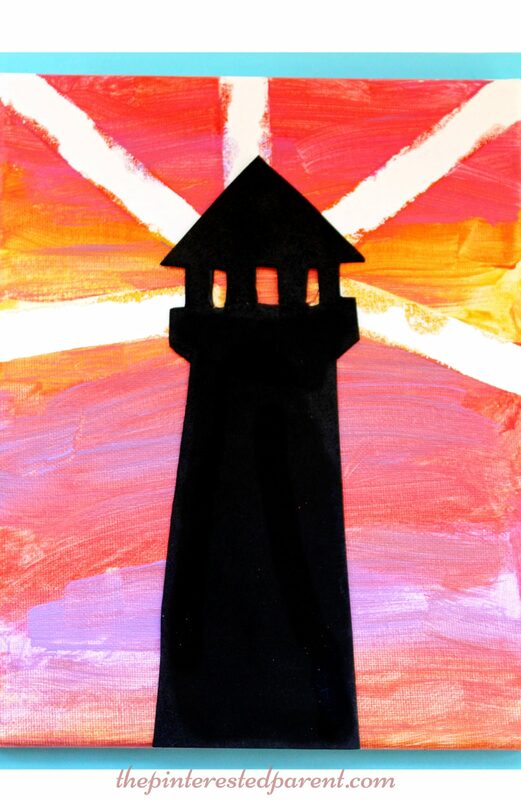 My daughter and I discussed lighthouses over the weekend and our conversation lead to us wanting to make a lighthouse craft. 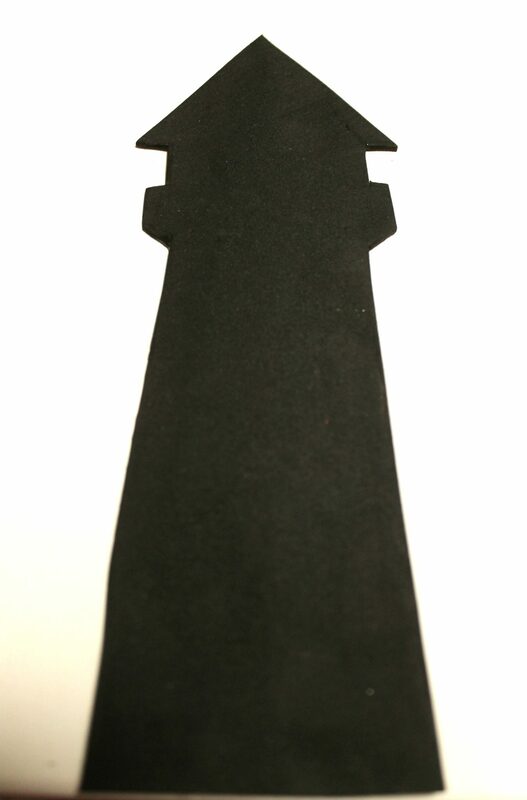 For this project, we cut out a simple lighthouse design. You may use our template below. Place the silhouette on a blank canvas. Use masking tape to form resist light rays coming from the lighthouse. Pick up the silhouette and paint the canvas in reds, pinks, oranges, yellows and purples. We used watered down acrylics for our painting. Let the canvas dry and remove the tape. 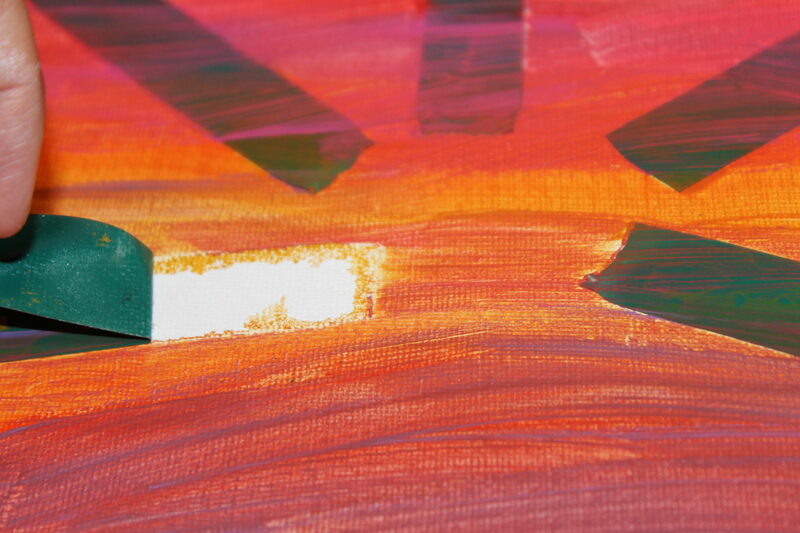 Glue the silhouette in place on the canvas to finish your painting. 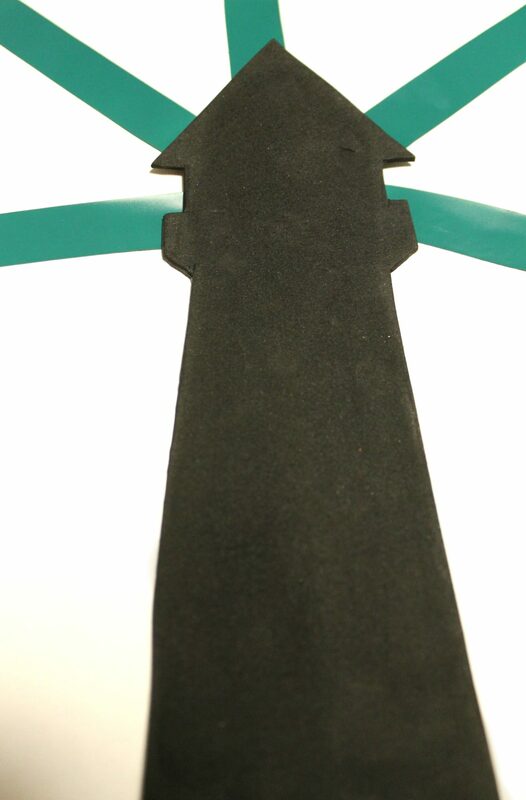 The tape resist gives the effects of lovely rays of light shining from the lighthouse. My daughter really liked how this one came out and I agreed. This one was so pretty and just might have earned a spot up on our walls. You might like some of these other silhouette projects as well.